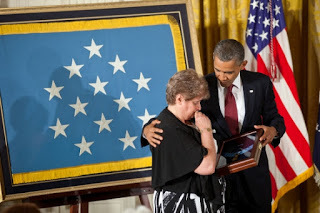 Rose Sabo-Brown, widow of Specialist Leslie H. Sabo, Jr.
WASHINGTON (Army News Service, May 16, 2012) — More than 42 years after performing selfless, heroic actions in Cambodia, which resulted in his death, Spc. 4 Leslie H. Sabo Jr. was recognized at a White House ceremony when his widow accepted the Medal of Honor on his behalf. Among those attending the May 16 ceremony in the White House’s East Room were Sabo’s widow Rose Mary and members his unit: Company B, 3rd Battalion, 506th Infantry, 101st Airborne Division. President Barack Obama presided over the ceremony, addressing Sabo’s widow, his brother George, his fellow comrades in arms, and more than 100 other military personnel and government officials in attendance at the event, including Secretary of Defense Leon Panetta, Vice Chairman of the Joint Chiefs Sandy Winnefeld, Secretary of the Army John McHugh, Chief of Staff of the Army Gen. Ray Odierno, and Sgt. Maj. of the Army Raymond Chandler III. Remarks by the President at Medal of Honor Ceremony to Specialist Leslie H. Sabo, Jr. THE PRESIDENT: Please be seated. Thank you, General Rutherford. Good afternoon, everyone. We gather today to present the Medal of Honor for valor above and beyond the call of duty. In so doing we celebrate the soldier, the life that produced such gallantry — Specialist Leslie H. Sabo, Jr.
Today is also a solemn reminder that when an American does not come home from war, it is our military families and veterans who bear that sacrifice for a lifetime. They are spouses, like Rose Mary, who all these years since Vietnam still displays in her home her husband’s medals and decorations. They are siblings, like Leslie’s big brother George, who carries the childhood memories of his little brother tagging along at his side. And they are our veterans, like the members of Bravo Company, who still speak of their brother Les with reverence and with love. Rose, George, Bravo Company, more than 100 family and friends — Michelle and I are honored to welcome you to the White House. 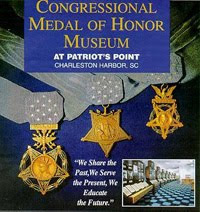 The Medal of Honor is the highest military decoration that America can bestow. It reflects the gratitude of the entire nation. So we’re joined by members of Congress and leaders from across our armed forces, including Secretary of Defense Leon Panetta; Vice Chairman of the Joint Chiefs, Sandy Winnefeld; from the Army, Secretary John McHugh and Chief of Staff General Ray Odierno; and from the Marine Corps, the Commandant, General Jim Amos. This gathering of soldiers, past and present, could not be more timely. As a nation, we’ve ended the war in Iraq. We are moving towards an end to the war in Afghanistan. After a decade of war, our troops are coming home. And this month, we’ll begin to mark the 50th anniversary of the Vietnam War, a time when, to our shame, our veterans did not always receive the respect and the thanks they deserved — a mistake that must never be repeated. 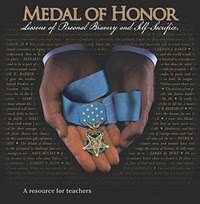 And that’s where I want to begin today, because the story of this Medal of Honor reminds us of our sacred obligations to all who serve. It was 1999, around Memorial Day, and a Vietnam vet from the 101st was at the National Archives. He was doing research for an article. And there, among the stacks, an archivist brought him a box. And he took off the lid. And inside, he found a file, marked with the name “Leslie H. Sabo, Jr.” And there it was — a proposed citation for the Medal of Honor. And so this Vietnam veteran set out to find answers. Who was Leslie Sabo? What did he do? And why did he never receive that medal? Today, four decades after Leslie’s sacrifice, we can set the record straight. I just spent some time with Rose and George and the Sabo family. Last week marked 42 years since Les gave his life. This soldier, this family, has a uniquely American story. Les was actually born in Europe, after World War II, to a family of Hungarian refugees. And as the Iron Curtain descended, they boarded a boat for America and arrived at Ellis Island, past the Statue of Liberty. They settled in the steel town of Ellwood City, Pennsylvania. Les’s father worked hard, pulled his family into the middle class. And when Les was a teenager, the family went to the county courthouse together, raised their hands and became proud American citizens. They say that Les was one of the nicest guys you’d ever want to meet. He loved a good joke. He loved to bowl — he could have given me some tips. (Laughter.) Rose says he was pretty good-looking, too. That’s what I hear. He’d do anything for anybody. And when George went to college, Les looked after their mom. When George went to night school, Les helped care for his three young sons. When Les fell in love with Rose — who couldn’t wait to start a life together — he slipped the ring on her finger, right there in his car, while stopped at a red light. (Laughter.) And as he headed out for Vietnam, he stopped at a shop and ordered some flowers — for his mom, for Mother’s Day, and for Rose, for her birthday. For Les and Bravo Company, those early months of 1970 were a near constant battle. Pushing through jungles and rice paddies in their heavy packs. Enduring incredible heat and humidity. The monsoon rains that never seemed to stop. An enemy that could come out of nowhere and then vanish just as fast. For his bravery in battle, Les earned the respect of his comrades. And for his family, he wrote home every chance he could. When American forces were sent into Cambodia, Bravo Company helped lead the way. They were moving up a jungle trail. They entered a clearing. And that’s when it happened — an ambush. Some 50 American soldiers were nearly surrounded by some 100 North Vietnamese fighters. Said Les’s comrades: “The enemy was everywhere” — in bunkers, behind trees, up in the trees, shooting down. And they opened up on them. And Les was in the rear — and he could have stayed there. But those fighters were unloading on his brothers. So Les charged forward and took several of those fighters out. The enemy moved to outflank them. And Les attacked and drove them back. Ammo was running low. Les ran across a clearing to grab more. An enemy grenade landed near a wounded American. Les picked it up and he threw it back. And as that grenade exploded, he shielded that soldier with his own body. And those were the voices Leslie Sabo heard that day: his comrades — pinned down, at risk of being overrun. And so, despite his wounds, despite the danger, Leslie did something extraordinary. He began to crawl straight toward an enemy bunker, its machine guns blazing. Those who were there said the enemy zeroed in with everything they had. But Les kept crawling, kept pulling himself along, closer to that bunker, even as the bullets hit the ground all around him. And then, he grabbed a grenade and he pulled the pin. It’s said he held that grenade and didn’t throw it until the last possible moment, knowing it would take his own life, but knowing he could silence that bunker. And he did. He saved his comrades, who meant more to him than life. Leslie Sabo left behind a wife who adored him, a brother who loved him, parents who cherished him, and family and friends who admired him. But they never knew. For decades, they never knew their Les had died a hero. The fog of war, and paperwork that seemed to get lost in the shuffle, meant this story was almost lost to history. We salute Les’s buddy, George Koziol, who, wounded in his hospital bed, first drafted the citation we’ll hear today and who spent the last years of his life fighting to get Les the recognition that he deserved. And most of all, we salute the men who were there in that clearing in the jungle. More than two dozen were wounded. Along with Les, seven other soldiers gave their lives that day. 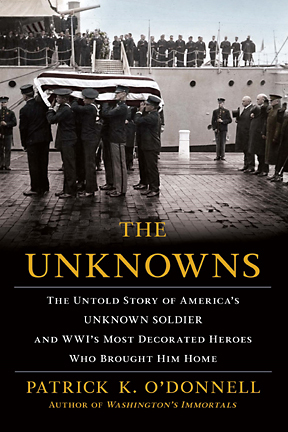 And those who came home took on one last mission — and that was to make sure America would honor their fallen brothers. They had no idea how hard it would be, or how long it would take. 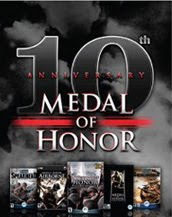 So yes, this Medal of Honor is bestowed on a single soldier for his singular courage. But it speaks to the service of an entire generation, and to the sacrifice of so many military families. Because, you see, there is one final chapter to this story. You’ll recall that as he shipped out to Vietnam, Les stopped at that flower shop. Well, the day he gave his life was Mother’s Day. And on that day the flowers he had ordered arrived for his mom. And the day he was laid to rest was the day before Rose’s birthday. And she received the bouquet he had sent her — a dozen red roses. That’s the kind of guy — the soldier, the American — that we celebrate today. Les’s mother and father did not live to see this day. But in his story we see the shining values that keep our military strong and keep America great. We see the patriotism of families who give our nation a piece of their heart — their husbands and wives, their sons and their daughters. And we see the devotion of citizens who put on the uniform, who kiss their families goodbye, who are willing to lay down their lives so that we can live ours in peace and in freedom. 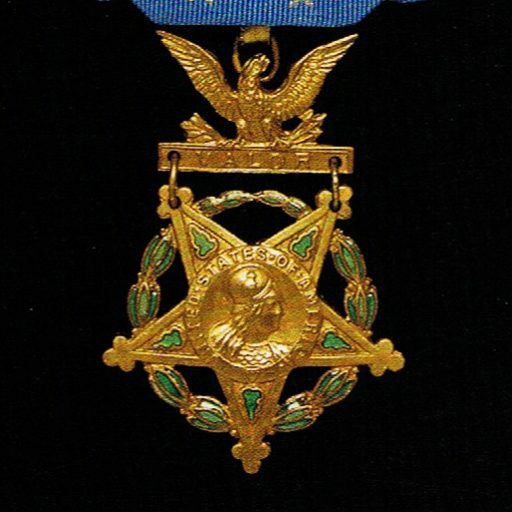 MILITARY AIDE: The President of the United States of America, authorized by Act of Congress, March 3rd, 1863, has awarded in the name of Congress the Medal of Honor to Specialist Four Leslie H. Sabo, Jr., United States Army for conspicuous gallantry and intrepidity at the risk of his life above and beyond the call of duty. Specialist Four Leslie H. Sabo, Jr. distinguished himself by conspicuous acts of gallantry and intrepidity above and beyond the call of duty at the cost of his own life while serving as a rifleman in Company B, 3rd Battalion, 506th Infantry, 101st Airborne Division in Se San, Cambodia, May 10th, 1970. On that day, Specialist Four Sabo and his platoon were conducting a reconnaissance patrol when they were ambushed from all sides by a large enemy force. Without hesitation, Specialist Four Sabo charged an enemy position, killing several enemy soldiers. Immediately thereafter, he assaulted an enemy flanking force, successfully drawing their fire away from friendly soldiers and ultimately forcing the enemy to retreat. In order to re-supply ammunition, he sprinted across an open field to a wounded comrade. As he began to reload, an enemy grenade landed nearby. Specialist Four Sabo picked it up, threw it, and shielded his comrade with his own body, thus absorbing the brunt of the blast and saving his comrade’s life. Seriously wounded by the blast, Specialist Four Sabo nonetheless retained the initiative and then single-handedly charged an enemy bunker that had inflicted severe damage on the platoon, receiving several serious wounds from automatic weapons fire in the process. Now mortally injured, he crawled towards the enemy emplacement and, when in position, threw a grenade into the bunker. The resulting explosion silenced the enemy fire, but also ended Specialist Four Sabo’s life. His indomitable courage and complete disregard for his own safety saved the lives of many of his platoon members. Specialist Four Sabo’s extraordinary heroism and selflessness, above and beyond the call of duty, at the cost of his life, are in keeping with the highest traditions of military service and reflect great credit upon himself, Company B, 3rd Battalion, 506th Infantry, 101st Airborne Division, and the United States Army.